“It’s the most fun you’re going to have under 25 mph,” says Brad Darling, president of ARGO, speaking about ARGO’s XTVs. 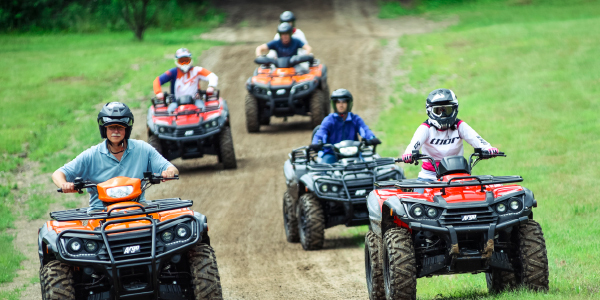 The ‘Go Anywhere’ extreme terrain vehicle manufacturer was back again this year with a new ride-and-drive event at ERX Motor Park located outside Minneapolis. Following its event last year in Austin, TX, where ARGO unveiled its 2017 XTV line, this year, you guessed it, the brand unveiled its 2018 ARGOs. However, the company decided to also use this event to drop a bomb of a surprise on the media in attendance – an ATV line up! Last year’s trip to Austin coincided with Darling’s first day on the job at ARGO after having worked for Arctic Cat for nearly 17 years. In the year since Darling’s arrival and subsequent naming as president, he has been busy with several big initiatives for the company as it celebrates 50 years in 2017. The biggest initiative was the launch of an ATV product line – fun at more than 25 mph. 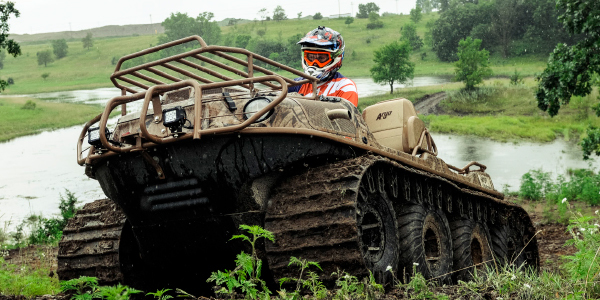 Darling’s introduction of the Xplorer ATV lineup was in the interest of ARGO’s future, its growth potential and a way to do more for its dealer base. While Darling wanted to grow the business by adding a new product line, the last thing he wanted to do was take any attention away from the XTVs. Those vehicles are and will still be the company’s main focus. Featuring leading terrain capabilities, excellent value and enhanced performance, the complete 2018 ARGO XTV lineup is categorized into two distinct vehicle families – Recreation and Commercial. The Recreation line includes the Frontier, Avenger and Conquest series, while the Commercial lineup includes the Avenger and Conquest series. Much of the 2018 XTV models remain fairly similar to 2017 iterations, however the company has listened to owners’ pleas to reduce engine noise and added a new, upgraded triple differential ADMIRAL HS steering transmission to the Avenger 8×8 LX. The company plans to further enhance the XTV experience through design and function upgrades as well as continuing to expand the accessory options available. With a big focus on growth for the company and its dealers, Darling had to put the vehicles aside for a moment and get to know the dealer and consumer base. He started by interviewing ARGO employees, asking them where the company should go, what do they want to do, what’s working and what’s not working? He spoke with end users to get the voice of the customer, and with the dealer base to get their voice. It was a four- to six-month project, according to Darling. Then he started to roll through a strategic plan for ARGO through 2020. “By the time we were all done, it summed up to essentially say we want to double our dealer base and triple our business,” he says. The key for Darling was knowing what it was going to take to get there. His first case of business was to bring on more people in sales roles – establishing the largest sales team ARGO has ever had – with the goal of signing new dealers. ARGO took a unique approach to the locations of its dealer base, too. Ensuring that there wouldn’t be too much overlap and keeping the goal of profitability top of mind, ARGO dealers are spread further apart than other brands in the industry. While this was underway, Darling and his team also asked plenty of questions to ensure an ATV line would be greeted with open arms. Darling also asked ARGO owners similar questions and found that 66 percent of them own an ATV and only 21 percent owned a SxS. What ARGO came up with after a year of analyzing data is the Xplorer ATV lineup. The Xplorer ATVs consist of both a 503cc version and a 997cc version. 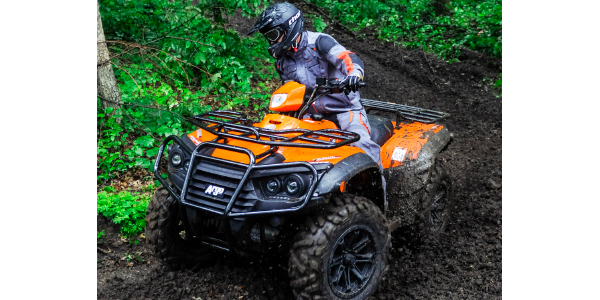 With a focus on performance and innovation, the ATVs are available in one-up riding with the XR 500, EPS and LE configurations and for two-up riding with the XRT 500, EPS and LE or XRT 1000 LE configurations. ARGO partnered with TGB in Taiwan to manufacture the vehicles. The 500-class features a 39hp electronic, fuel-injected engine, a large rack capacity, ample ground clearance and comfortable suspension travel. All ARGO Xplorer ATVs also come equipped with a standard, two-inch hitch receiver. For easy control, the Xplorer’s Tri Mode Speed Sensitive Electronic Power Steering (TMSS EPS) provides riders with selectable minimum and maximum assist on the EPS and LE models. The XR 500 LE and XRT 1000 LE feature 26-inch premium Innova tires mounted on 14-inch black aluminum wheels. 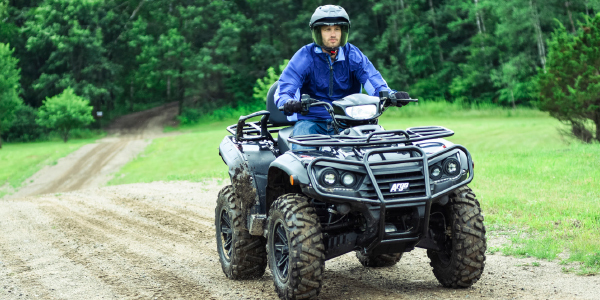 The XRT 1000 LE model features a powerful V-twin, 997cc, 4-stroke, single overhead cam engine that puts out 83hp, and also comes equipped with active descent control and an electric un-locking, turf mode, rear differential. ARGO made the active choice to enter this market guns blazing by offering seven configurations right from the start rather than testing the waters with only one or two options. “The first thing customers look at is the 500-class ATV,” Darling says. “The reality is the models with power steering are going out the door much more than they did when it first started. So we had to have a power steering model. Then, many people in the off-road business want aluminum rims and bigger tires. We were able to step all the way through with our XR 500, XR 500 EPS and our XR 500 LE. The LE has more of the bells and whistles, including power steering. Our biggest seller will end up being the XR 500 EPS because people just want power steering and don’t care as much about the rims and extras. ARGO identified certain segments within the ATV category that it wanted to focus on. It chose to bring the Xplorer in with a full-size chassis and a focus on premium tires, suspension, good gauges and functions. Why get into 1,000cc if the bigger market is 500cc? Darling says it adds credibility and legitimizes ARGO’s entry into the ATV business, and ARGO can bring 1,000cc in where competitors are pricing 850cc. However, pricing for the Xplorers has yet to be released, but models should be available for the fall selling season. With a lot on his plate in his first year as ARGO president, Darling has been delivering on his promises. The company plans to launch one new ARGO product a year for the next five years and will keep its focus on the XTV product. The sales team and engineering team have been staples to the company’s success this year, and will continue to be a big factor moving forward. That being said, it’s the company’s dealer base and current owners that really provide ARGO with a future focal point. ARGO celebrated its 50th anniversary in mid-August with an Expo at its factory in New Hamburg, Ontario, for dealers and distributors, as well as a special day for folks in the community. Big things are happening at ARGO. 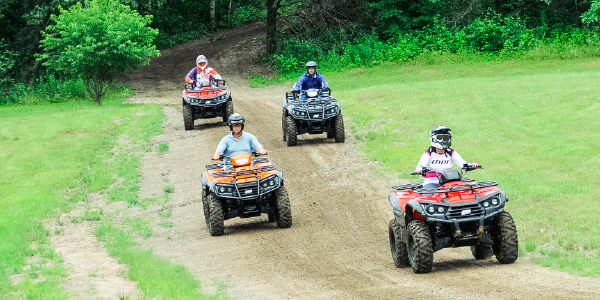 Its XTVs are continuing to deliver that “Go Anywhere” performance, and the new line of Xplorer ATVs excited the media during the ride-and-drive event. With the growth ARGO is experiencing, you have to wonder where the company will be in another year from now, because Darling isn’t done yet. “After 14 months, I look back and can say I’ve checked a lot of boxes off, but I’m pretty impatient and we haven’t gotten to where we need to go,” Darling concluded.